Wondering what to do with the other half of the package of soyrizo? This is one delicious option. A savory, satisfying stew that comes together in minutes. 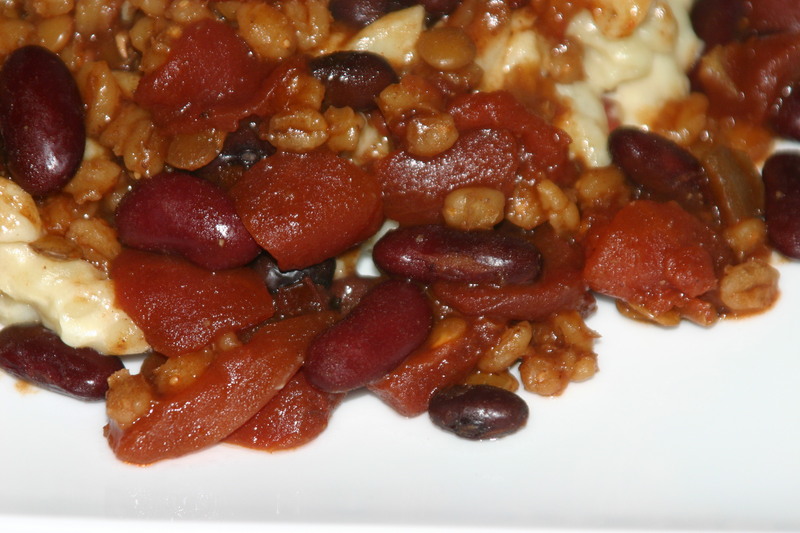 It can be made in the slow cooker or on the stove, with canned beans or homemade. Serve with some salad or a nice cabbage slaw and you have yourself a quick, easy, delicious meal. This recipe is from “The Vegan Slow Cooker”, a super fun cookbook with lots of pictures- My husband loves it. 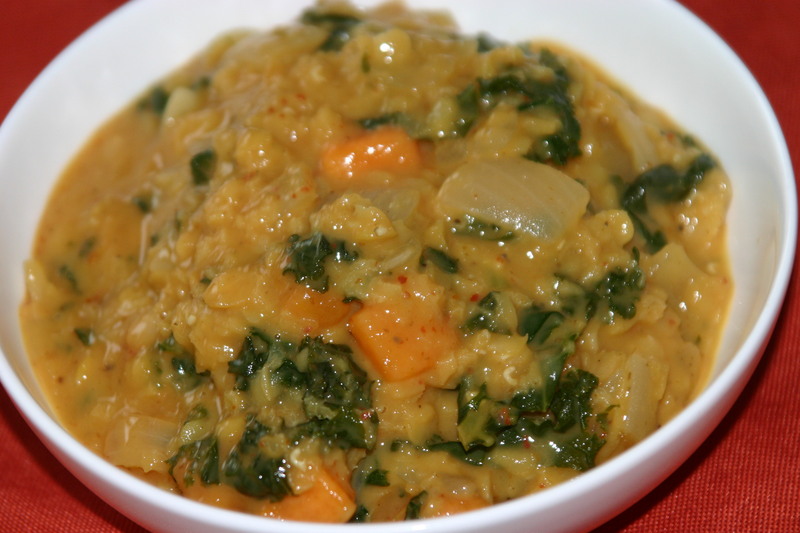 In fact, he was the first in our family one to make this stew; it is now a regular feature for busy weeks. If you missed the previous week and are wondering, what the heck do I do with half a package of leftover soyrizo? Check out these baked potatoes with soyrizo and kale, and look for another recipe next week for a quick pasta dish using the leftover soyrizo. Just freeze the half package until then, it will be fine. Saute the onions over medium heat until translucent, 3-5 minutes. Add the garlic and bell pepper and cook about 3 more minutes until starting to soften. Combine cooked vegetables, and the rest of the ingredients in a slow cooker, or in a large pot on the stove. For the slow cooker cook on low for 6-8 hours. On the stove cook 20-40 minutes over low heat, stirring regularly. You may need to add more water if the stew begins to look dry. Top with whatever looks good to you. I like some fresh cilantro, bell peppers, and sometimes cucumber. It adds a nice crunch and some freshness to the dish. This was a quick throw together soup I made to take to a friend’s house when I invited myself over during lunch time. I made this during two minute increments while I had a needy baby, so it passes the easy test. I think the hardest part is chopping the kale, but I had bought pre-chopped (don’t tell anyone) and it was quick. I was surprised at how good it was because it was so easy. When my husband tried the few leftover bites he requested I make it again soon. I did, (once again on a needy baby day) with a different kind of curry paste, and it was still delicious. So, when you are looking for a quick, easy, delicious, satisfying meal to eat during a snow storm, or on a low-motivation/needy baby day, this will be the perfect thing. In medium saucepan heat coconut oil over medium heat until melted. Add sweet potatoes, lentils, water, and broth powder, bring to a simmer, then cook until sweet potatoes are almost tender, about 10 minutes. Add the coconut milk, curry paste, and kale cooking until the kale is tender, and lentils are cooked through, 5-10 more minutes. I recently had a baby (reason 1 why I have been so terrible and posting for the last year) and often need quick and yummy food. We are also gearing up for a winter storm here in Maine, which means I need something warm and comforting. 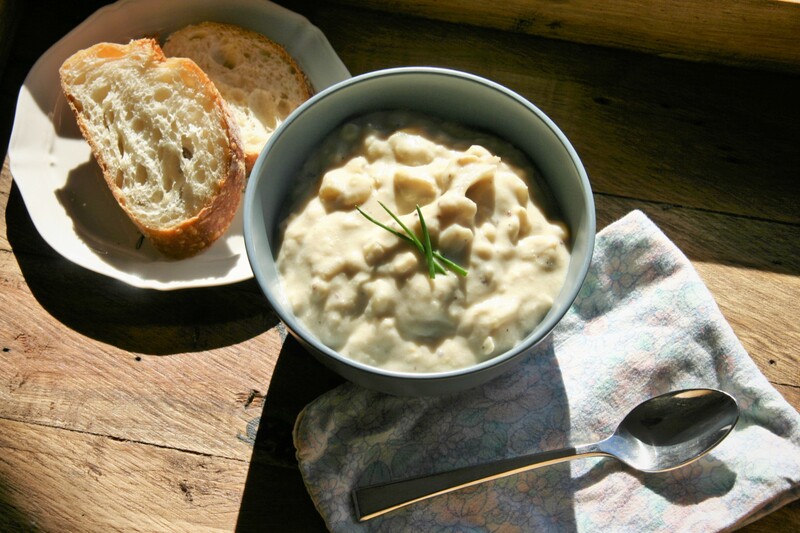 This chowder fills all the need with its creamy, comforting, delicious, savoriness. It is what I crave when it is cold and rainy or snowy. It is also one of the easiest things to make. When I have 10 minutes and a crazy day I will throw this together in the slow cooker and let it do its thing. I don’t know how to describe this other than as a comfort food. You can feel yourself relaxing while eating a bowl, and warming from the inside out. I served this to a group of very non-vegan friends and they all loved it and asked for the recipe. No one could believe it was made without dairy. Score one for vegan chowder! I’m sorry for no picture. I blame the baby. Place all ingredients In a pot or slow cooker. Cook over low heat until potatoes are tender, stirring g occasionally if cooking on the stove, about 30 minutes. If using a slow cooker cook 6 hours on low. It’s fall, and we are back in the cold weather after living is San Diego for two years. I love the fall, but it always makes me want to eat soup and chili, things that are warm and comforting. 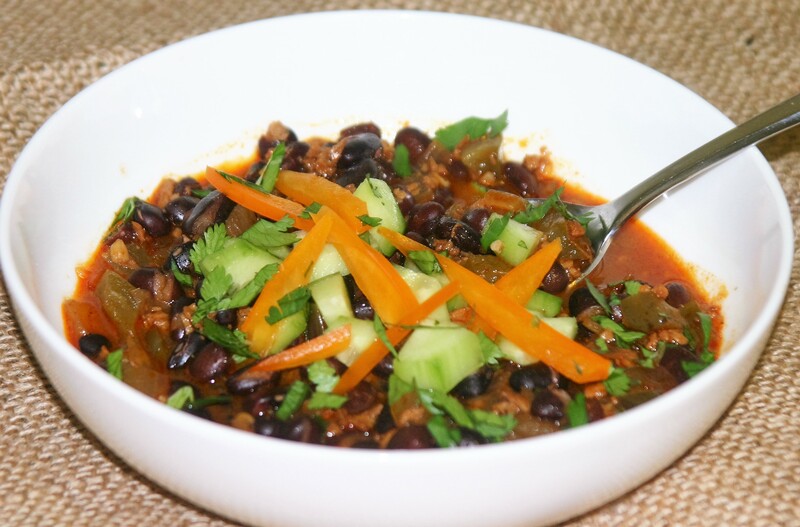 This chili recipe is spicy, flavorful, and has been loved by many a meat eater. The great part is the chewy texture without the fake meat flavor going on. It’s also super quick and easy to throw together. Mix lentils, barley, water, worchestershire, tamari, and broth powder in a soup pot over medium heat. Cook until water is almost absorbed, about 30 min. Add the rest of the ingredients and cook 20-30 minutes more, until the onion is soft and the flavors have developed. Sauté onion and celery in oil in a 5 qt soup pot until soft. Add potatoes, carrots and vegetable broth to cover vegetables and cook until vegetables are nearly soft, about 15 min. Add beets and cook 15 min. more. Add vinegar and seasonings, cook 1 min. Garnish with vegan sour cream, or plain yogurt and serve. In a large soup pot heat oil. Add potatoes, carrots, vegetable broth, ginger and salt. Bring to a boil, the reduce heat to med/low and simmer 30 minutes until vegetables are tender. Using and immersion blender blend soup leaving a good amount of chunks. You can also pour half the soup in to a blender or food processor to blend, then return to the soup pot to reheat. After blending stir in the miso/water mixture and tamari.